All photos taken August 24 and 25 are now posted online. 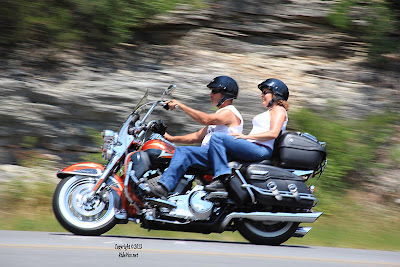 The pictures taken this weekend August 24 and 25 near Eureka Springs, AR. are posted online. Don't forget about Labor Day weekend and Bikes Blues and BBQ, I hope to see everyone again. I will be here both weekends shooting photos about 10am till 4pm. Tell your friends and wave as you ride by. Photos taken August 24 and 25. Pictures taken west of Eureka Springs, Arkansas about 8 miles along Hwy 62. I am working on photos taken August 24 and 26, 2013 and will have them posted by Wednesday. 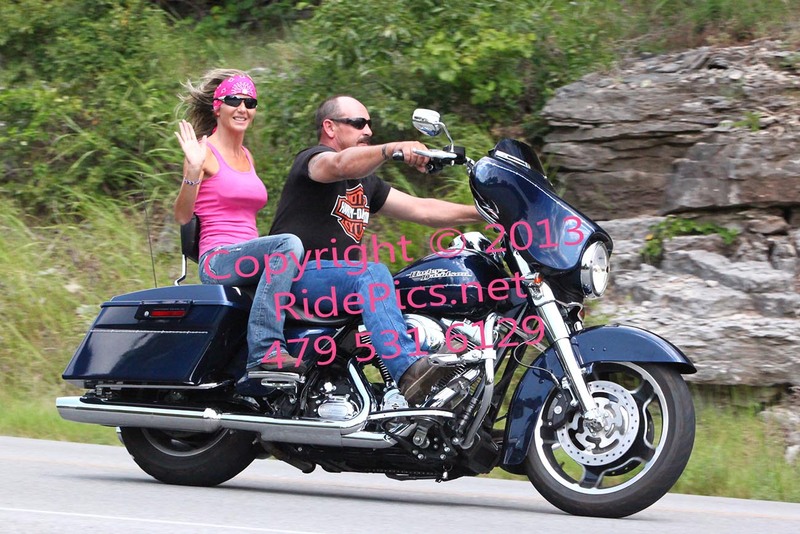 The photographs taken today August 17, 2013 are posted. It was a great day for riding the weather just could not have been any better. 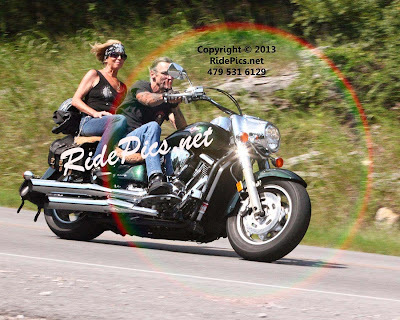 All the photos taken today on August 17, 2013 are posted. All photos from July 27 and 28 are posted and ready for you. All pictures taken July 27 and 28 are posted.